Figure 1. Catawba Street Bike Lanes beginning in Downtown from the west and running east to the proposed River Park. The City of Belmont wanted to improve connectivity and accessibility for cyclists in and around its Downtown and increase connections with destinations further east in Belmont. Bicycle facilities were added on roughly 1.3 miles of roadway of Catawba Street (NC 7) during resurfacing of area roads. Belmont, a small city located approximately 15 miles west of Charlotte, is finding opportunities to ramp up its bike-friendly character to connect with area recreation destinations. The city holds regular bike rodeos, hosts the yearly Belmont Criterium bike race, and has an active Safe Routes to School Program. It is home to 3 miles of mountain biking facilities at Rocky Branch Park, located near downtown, with a potential for 2 more miles. The City is planning a River Park along the Catawba River east of downtown and is working with the North Carolina Department of Transportation (NCDOT) to complete a rail-to-trail project on an unused rail section, which would connect downtown with Belmont Abbey College to the north. Belmont determined that it needed an east-west bicycling facility that would connect with these two destinations (and others). After reviewing several options, Belmont planners decided that Catawba Street (NC 7) was the best fit for the desired east-west biking route. Historically, Catawba Street was the primary east-west connector during the peak of Belmont’s textile era and once had a number of factories lining the street. Wilkinson Boulevard, a six-lane median divided highway, is the main east-west connector for motor vehicle traffic. Catawba Street connects downtown Belmont from North Main Street to US 29-74, but its 35 MPH speed limit for most of its length made it a more suitable option for bike lanes. With relatively low daily motor vehicle trips –about 3000 vehicles between Main Street and Park Street/Keener Blvd/NC 273, and about 3300 further east until 10th Street – Catawba Street could accommodate bicycle lanes without affecting motor vehicle capacity. Near Main Street, Catawba is mainly commercial, becoming more residential as it moves further east. After Park Street/Keener Blvd, there is a stretch near the road that contains businesses, on street parking, and has a 20 MPH speed limit. Due to the road width narrowing because of street parking, this section of roadway was not eligible for bike lanes. 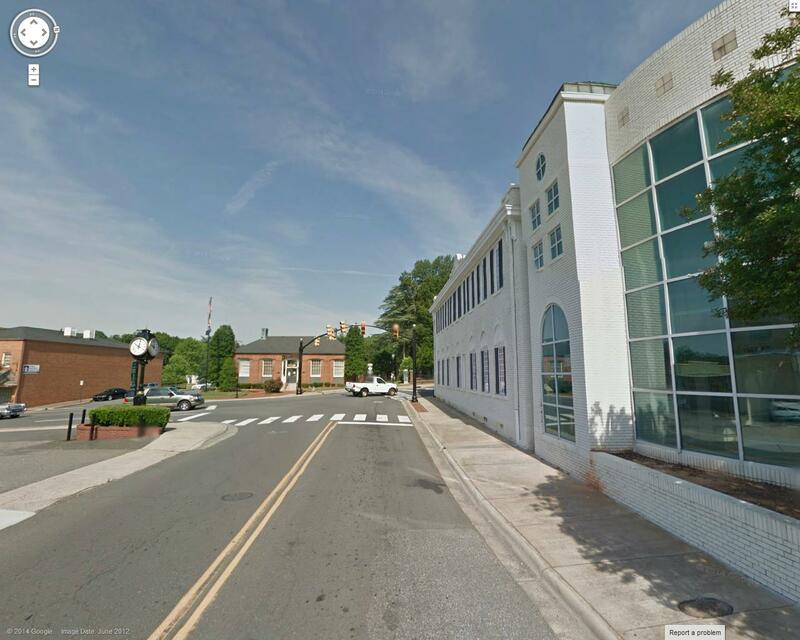 On the south side of Catawba Street there is a continuous sidewalk, but while there are no crosswalks at major intersections, a crosswalk is planned to connect Catawba crossing Park Street/Keener Blvd. 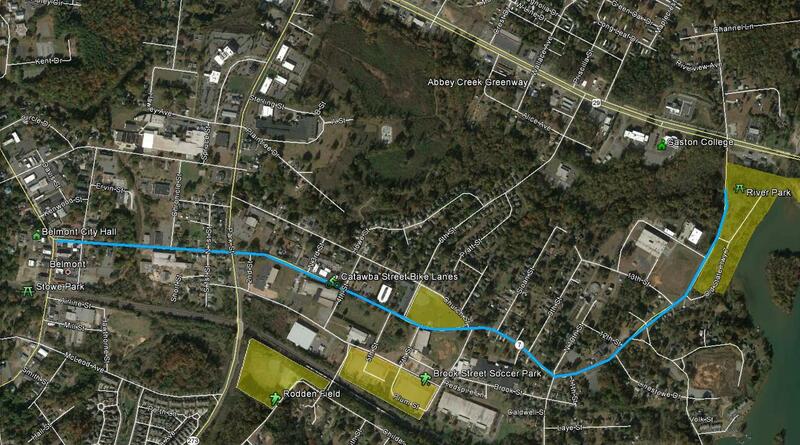 The City took advantage of NCDOT’s resurfacing plan for the 2013 summer/fall to install bike lanes on Catawba Street. The City’s Bike Plan, funded in 2011 through a grant from NCDOT and adopted by City Council in May 2013, called for several additional miles of bike lanes, including on Catawba Road. When the City learned of the NCDOT resurfacing of NC 7 (Catawba Street), it began talks with NCDOT on creating a road diet by narrowing the vehicle travel lanes to 11 feet to allow at least 4 foot bike lanes. The road was resurfaced and new markings were added in fall of 2013. Bike lanes were added between Main Street and 10th Street. East of 10th Street, the width of the shoulders decreased as the overall width of the road decreased. 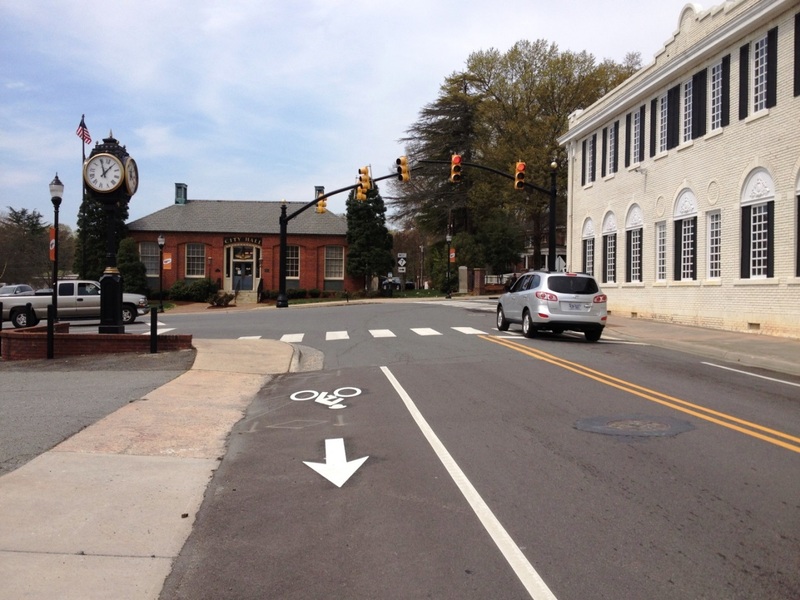 In March of 2014, the City of Belmont asked NCDOT to include bike lane symbol markings on the wide shoulders to properly designate the area for bicyclists. After meeting all requirements, NCDOT complied and marked the shoulders. The approximately 30 foot wide road was resurfaced and striped to allow 11 foot through lanes and 4 foot shoulders. In addition to providing a better connection between downtown and east Belmont, the route will provide greater accessibility to the forthcoming River Park at the eastern end of Catawba Street. There has been some increase in the number of bicyclists on Catawba streets and this new link will help to spur future additions based on the adopted Bicycle Master Plan. City of Belmont. Street Improvement Projects. Retrieved March 27, 2014 from: http://www.cityofbelmont.org/Departments/PublicWorksDepartment/StreetMaintenance/StreetResurfacingProjects.aspx. NCDOT Division of Bicycle and Pedestrian Transportation (2013, August 6th) Developing a Bicycle Master Plan: City of Belmont’s Story. Retrieved March 27, 2014 from http://walkbikencnews.blogspot.com/2013/08/developing-bicycle-master-plan-city-of.html.